The Sidebar: Denver company going to the dogs (and cats), introduces suction plunger for choking pets -- any vets out there want to comment? Denver company going to the dogs (and cats), introduces suction plunger for choking pets -- any vets out there want to comment? 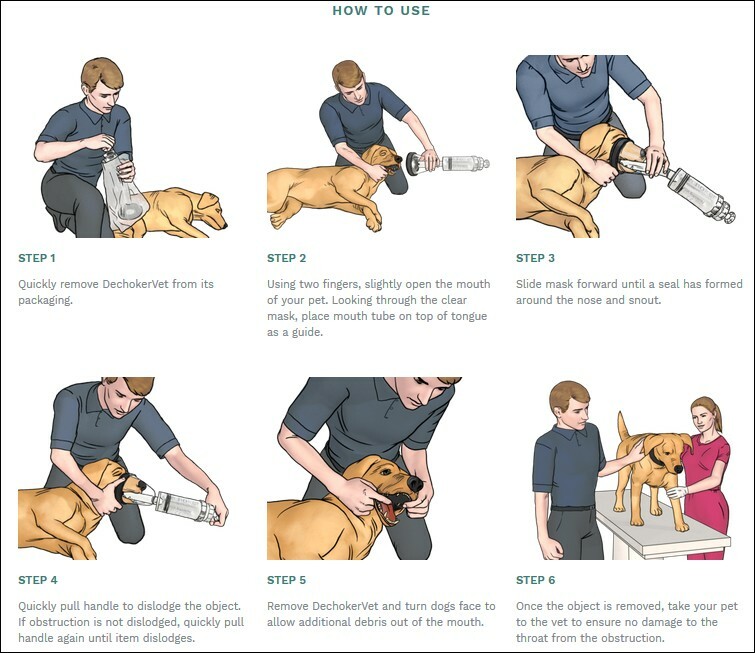 Dechoker LLC -- which in recent years has been selling a plunger device intended for sucking foreign body obstructions from the airways of humans -- now has a version for our four-legged friends. The company -- which recently relocated to Denver, Colorado in the wake of a reported $2m securities fraud investigation by the North Carolina Secretary of State -- offers three sizes for dogs and a one-size-fits-all model for cats. At this writing, two of the models -- medium and large sizes for fido -- are sold out. But all four sizes appear to be available from a Bismarck, North Dakota company called Balkowitsch Enterprises, Inc. However, Dr. Stilley didn't share his opinion regarding the Dechoker for pets so if any veterinarians want to weigh in, feel free to e-mail me and I may publish submissions.